At 3,954 metres, Mount Robson is the highest peak in the Canadian Rockies. With Alberta's Jasper National Park as its easterly neighbour, Mount Robson Provincial Park comprises a portion of one of the world's largest blocks of protected areas. 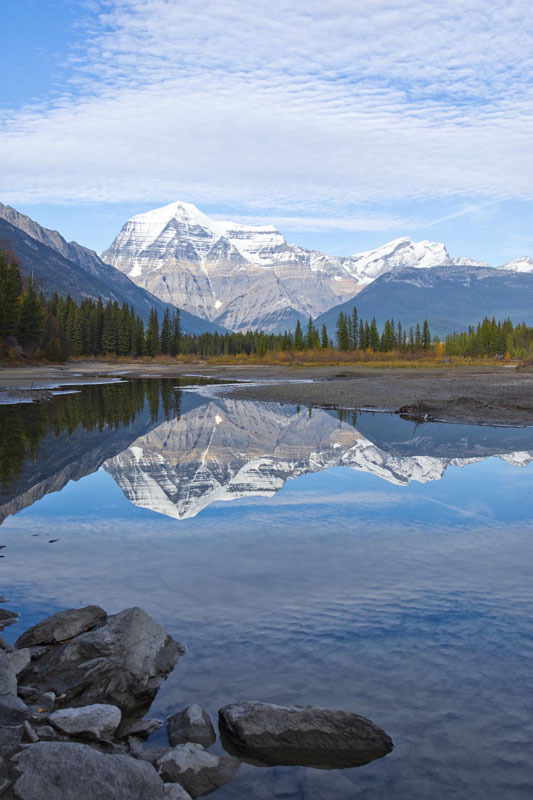 Designated as a part of the Canadian Rocky Mountains World Heritage Site by UNESCO in 1990, Mount Robson provides everything from developed, vehicle-accessible camping to remote valleys that seldom see a human footprint.